"Corporate Law, Private Law and Instrumentalism"
Abstract: This article seeks to enrich our understanding of corporate law and private law. 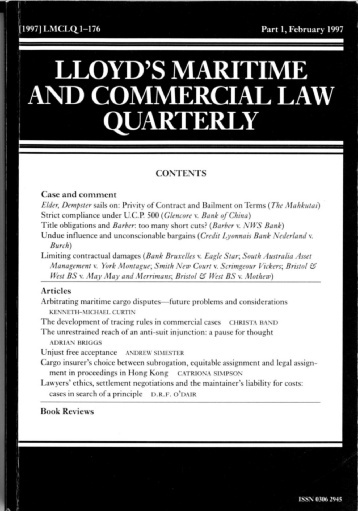 Deploying insights from the rights-based analysis in private law, this article argues that corporate law, in its instrumentalist conception, is unable to properly account for a defining feature of private law disputes, its bipolar structure consisting of the correlative and personality elements. Through a critical examination of certain corporate law cases, this article shows that the rejection of instrumentalist considerations by the rights-based thesis is unwarranted; it demonstrates how judges in private law disputes can accommodate instrumentalist considerations in a structured, coherent and restrained fashion. Click here to download the full article.